Have you tried lately to spare more space when drying your clothes and couldn’t manage that, in the end? Have you searched high and low not only for a space saving laundry drying rack, but also for a long lasting one? You kind of bought a lemon the last time and you simply sit on the fence when it comes to searching for the best drying rack for you? And hope we do know something when it comes to the best clothes drying racks. And…we do know. We know that some are collapsible, so that you can hide them during parties. We know that some have special space for your shoes, so no more worries about that either. We know also that some are wooden made, if you are the nature friendly kind of person. Some clothes drying rack not only dry your laundry, but they protect your floor also. And…so on! As you all can see, there are so many kinds of drying racks for clothes. This is our top 10 line-up when it comes to clothes drying racks. Some are very low price but good quality, some are larger than you may expect and they appear pricey, but totally worth it. 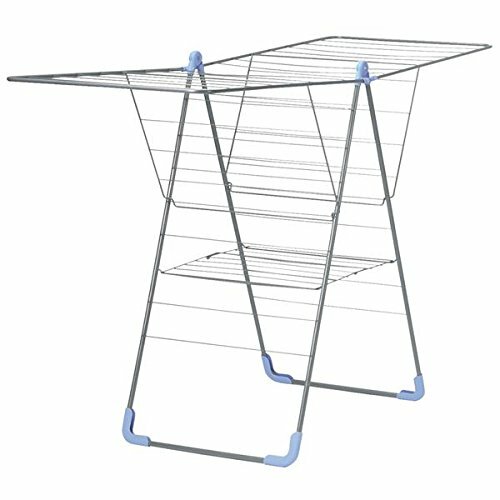 Do you have a small apartment or you’re looking for a practical drying rack for your delicate items? 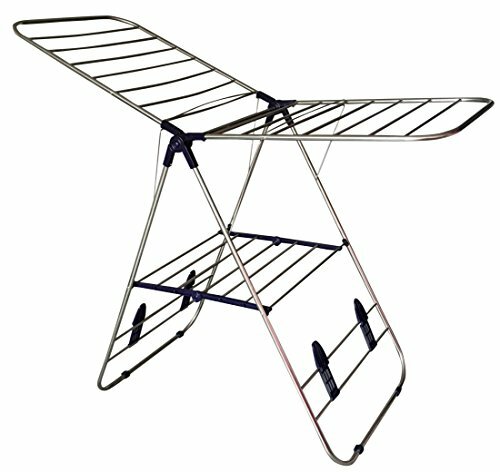 Take a look at the Honey-Can-Do Metal Folding Drying Rack, X-Frame Design that is both easy to use and low priced, which makes it a great candidate for various needs. The rack gives you 39 linear ft. of drying surface for you to dry socks, underwear and various delicate items or beach towels. Even though the design is simple, the rack is efficient and reliable and its anti-skid rubber feet ensure its stability. 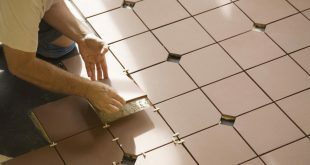 Additionally, the rubber feet also protect your floors, which is good to know for the indoor use. The top wires allow you to dry clothes or even support hangers. The wires are a bit close to each other, which may slow the drying process. The rack presents a metal X-frame design so it’s easy to fold for storage. It folds compact so it takes minimal place for storage too. Well-made and lightweight, the rack is very slim and easy to carry around. It may not be the largest nor the toughest rack out there, but it sure is a great choice for anyone with a small apartment and a tight budget as well. All things considered, the rack is reliable, easy to use and quite a bang for your buck. Don’t let the price of the Moerman Laundry Solutions Y-Airer Indoor Folding Clothes Drying Rack as the drying rack is quite an impressive option for the money you’re paying. The rack presents many good things and the 79.0ft. of drying space is one to begin with. The rack becomes a very large option that can hold even up to 3 loads of laundry. The build is strong and has a durable feel to it. The rack presents a long lasting powder coat finish and may be used both indoor and outdoor. As a matter of fact, the rack takes the use outdoor pretty well, presenting no signs of wear after an entire summer. The plastic leg caps protect your floors, so no worries when using it inside the house either. Another good thing about the rack is that the drying wings are easy to adjust up or down, which makes it highly versatile. You may use it for flat drying or for hanging tall items, as you need. You don’t need to put together the rack that is also very easy to fold flat for versatile storage. The rack presents a long lasting metal build and its Y-shape lets you use it flat and /or upright, according to your needs. Sturdy, easy to use and highly versatile, the rack is a great investment to make for your home. All in all, for its versatility, impressive drying surface, ease of use and adjustability, the rack is quite a deal for many of us. 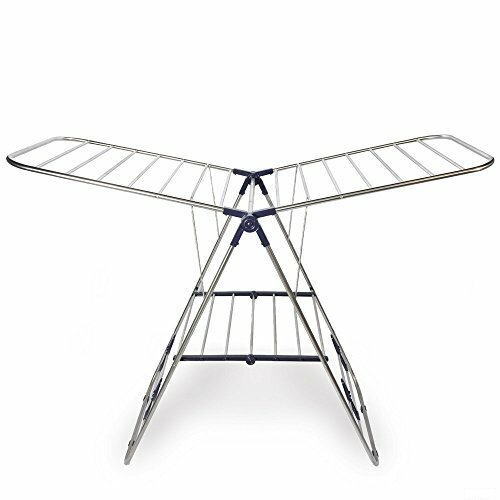 For those of you who want a smaller clothes drying rack that dries your clothes, while protecting them, the Whitmor 6023-741 Folding Clothes Drying Rack is one option to keep in mind when sopping. Even though it’s not the largest drying rack out there, the Whitmor 6023-741 still is a reliable choice as it comes with a nice list of good things. The rack provides 25ft. of drying space and is strong enough to hold up to 40lbs. of clothes. Its design is efficient and the rack presents a top shelf that you may use for drying some sweaters or other flat frying items. You may dry a good amount of clothes on the rack as it has 11 bars for that. The rack saves you a lot of energy for drying your clothes, so it’s an economical friendly option for many. 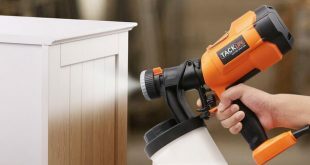 The rack presents an epoxy coating over steel, so it’s protected against rust and mildew. Not only the rack doesn’t rust, but it also doesn’t stain your clothes. Smooth, with no rough edges, it protects the more delicate clothes too. Lightweight and easy to drop into position, the rack may be used both indoor and outdoor. It’s build protects your delicate items, but it’s strong enough to take a heavy load. Once it’s open, it locks into position so you don’t have any incidents. When collapsed, the rack stores flat and you may easily store it into a small and thin space. It doesn’t need any assembly and it’s ready to use out of the box. The racks are wide apart to each other, which gives you good enough space for hanging your clothes. The metal, imported, laundry drying rack has such a smart design that will help you arrange all your clothes every time. Gift-wrapped also, keep this product in mind when Xmas shopping. Lightweight, easy to use and compact when stored, the drying rack is a good option when in need. For those of you with a small apartment or are travelling a lot, needing a clothes drying rack, the Household Essentials Collapsible Indoor Tripod Clothes Dryer seems likea great choice. Even though the rack isn’t the most rugged clothes drying rack out there, it sure comes with a good list of features that recommend it for many types of situations. The tripod folds easy for storage and it’s lightweight, so it’s great to take along when traveling. It’s not difficult to take apart and to put it back together for use. The arms are re-designed so the rack is stronger and more stable than it used to be. The design is well thought-out and the hangers fit through and on hanger slots, ensuring wrinkle-free drying for your clothes. Don’t let its lightweight and its design fool you as the rack may hold about 6lbs. per arms and 22lbs. overall, give or take. However, you do need to learn to balance it so it doesn’t tip over from the load. You should also not place it near any traffic paths of your home, minimizing risk for tipping as well. Skinny and tall, the rack may tip quite easy if you’re following some tips. The coupling joint gives a more stable and stronger center post, which isn’t difficult to put together. The base of the tripod matches its top, increasing its stability. The additional supports in the legs and at pivots, give stronger and more stable legs too. 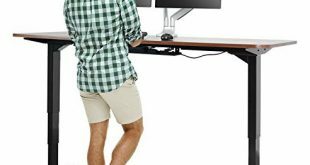 The rack presents built-in supports and reinforced pivots that give more strength to it, which is great for the big jobs. In order to help your clothes dry faster, you shouldn’t overload the dryer. The rack looks well made and may take the use for a good amount of time. Make sure to use the latch to lock the poles so the rack doesn’t tip over. All in all, if you’re looking for a versatile, easy-to-travel-with and reliable tripod rack, this one isn’t a waste of your money for so many reasons. 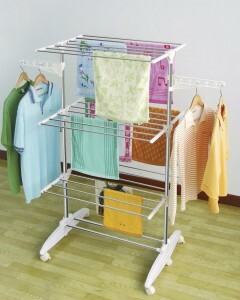 Large and rust-proof, the EWEI’S HomeWares Heavy Duty Stainless Steel Clothes Drying Rack is a reliable option for many. The rack presents a rust-proof stainless steel build, which means you can safely use it both indoors and outdoors. The versatility of the rack doesn’t stop here and you may use it for sweater and shoe drying as well. The folding design of the rack allows you easy storage. Additionally, the rack folds flat so finding its storage space isn’t going to be a problem. The design of the rack is well thought out and the wings are easy to adjust. Therefore, you may place the support arms in various positions, for a flat drying. You don’t need any tools for setting up the rack so everything about its use is rather easy. The rack has a good build that leaves a durability feel. The pure stainless steel and the high quality plastic joints recommend it for long time use. 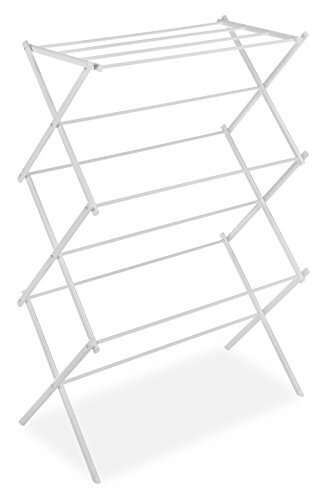 Large, giving you the chance to dry plenty of clothes, the rack has a heavy-duty build, taking a heavy load. All things considered, for the long list of good things, the rack sure is worth to try whenever in need. Taking the use both indoor and outdoor, the CRESNEL Heavy Duty Stainless Steel Clothes Drying Rack – Rust-proof Guarantee may satisfy the needs of many out there. The rack seems to be rust-proof, which may explain the Cresnel free lifetime replacement warranty. But this is only one good thing to begin with. The expansive top planar area of 58”x24” gives you plenty of drying areas for a typical load of laundry. The design of the rack lets you use several rails, but you may also use it with hanger, in case the load is larger than usual. You may very well use the bottom rack for shoes and slippers. When not in use, the shoe rack is very easy to remove. The versatility of the rack doesn’t stop here as you may very well use it without opening it entirely. The rack is lightweight and very easy to carry around. It folds flat and easy, into a slim profile, so it’s not difficult to store it. Well-made and sturdy, the rack is large and so easy to adjust to many angles. It comes fully assembled so it’s ready to use out of the box. 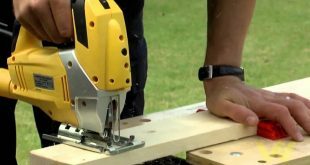 You don’t need any tools and simply expanding it into an “A” shape, while flipping it up the left/right panel, making it ready for use. The rack is made of pure stainless steel and doesn’t rust. Be that as it may, the rack is still a versatile, durable, easy to use and lightweight rack that is worth every penny. 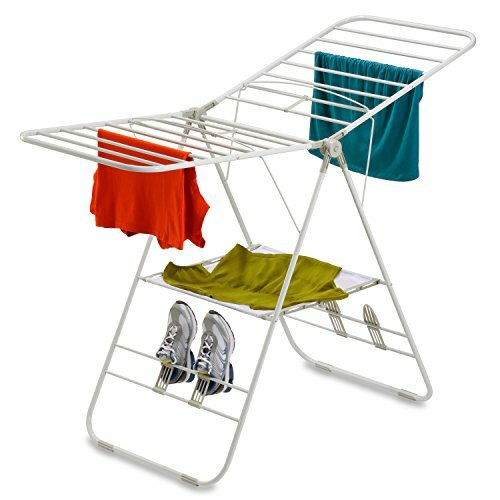 If you’re looking for a large, long lasting clothes drying rack, the Honey-Can-Do DRY-01610 Heavy Duty Gullwing Drying Rack is a great choice for many. 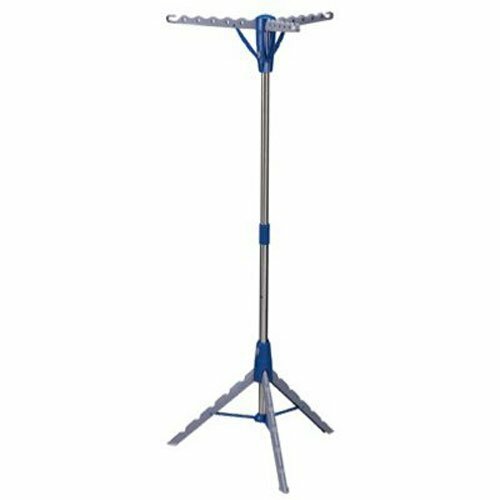 Presenting a 46-linear feet of total drying space, the rack provides also 2 shoe holders and has 6 position wings steel support arms for heavy garments. The drying rack has a well thought design and leaves a durability and stability feel. It folds easily and compact for easier storage. It folds down to 3” flat for fast and easy storage. 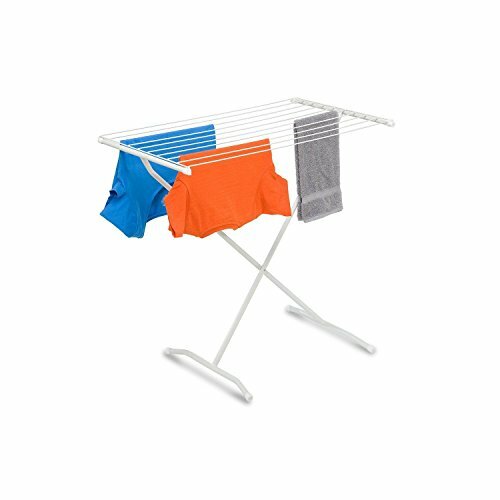 The steel support arms take heavy garments and big loads so you may rely on the drying rack when you heavy load your washing machine. Even when the rack is fully loaded, it can be moved around, at its largest dimension. Despite its rugged and sturdy build, but also impressive dimensions, the rack is rather lightweight. The drying rack is well made so it protects your delicate items, vintage pieces or blue jeans. The versatility of the drying rack is also important and you may also easily remove the shoe part when not in use. The clothes drying rack has a great stability and doesn’t tip over and its design is one of its strengths. This laundry drying rack is very useful and is going to surprise everyone; you are going to be be able to dry an entire load! For those of you who like to dry their clothes outside, the Household Essentials 12-Line Outdoor Umbrella-Style Clothes Dryer isn’t just a good deal, but also a reliable option for a long time use. The outdoor dryer presents a umbrella design and 12 vinyl lines that allows you to hang and air dry your laundry out in the open. The rack gives you 165 ft. of total drying space so you may easily hang 2 loads of laundry at a time. Not only you get plenty of space for drying your clothes, but you also get to easily access that space due to the rotating top of the dryer. You only need to make one action for opening and closing the rack that comes ready to use out of the box. It gets to you pre hung and you only may need to tighten up a bit the ropes. The no-rust galvanized aluminum arms protect your clothes from stains and keep rust at distance. The steel post leaves a durability feel and the rack has good stability altogether. It may even hold on a windy day, which is good to know. The rack is easy to use as it slides on the center post, moving up and down for raising and lowering the lines. Don’t be surprised if it’s a bit stiff in the begining, as this is quite common for racks of this type. The rack is going to loosen up in time. The „shoe lace” style of line-one long line, feeding through the dryer is a great detail so you get less drag on one area. Keep in mind that you need to install it in concrete and the rack comes with a ground sleeve. This plastic tube goes into the concrete, holding the dryer’s pole. You may easily take down the dryer in case the weather gets worse. Lightweight, sturdy, reliable and easy to use, the rack has a strong build and may serve you well for quite some time. It goes without saying that, for the sturdy build, amazing design and impressive drying surface, the drying rack is a good investment for your money. 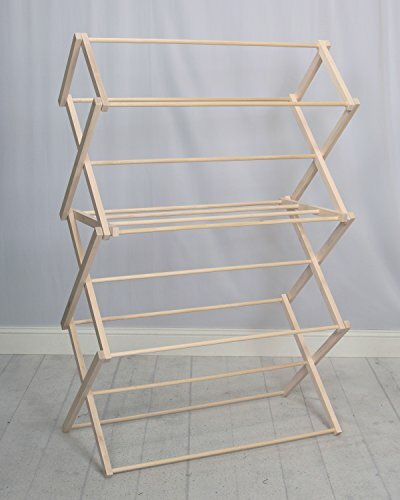 Anyone who likes the handmade products is going to appreciate the value of a handmade wooden rack like the Pennsylvania Woodworks Clothes Drying Rack. The rack is made from rock-solid maple, so it’s going to take the use for a long time. Everything about the rack leaves a durability feel and the rack is fastened with 3/4in dowels for more stability. The versatility of the rack adds on the list of pros and you may use the piece for wash clothes, hand towels and various small items. The drying surface is large and the you may use the rack for many articles of clothing. Additionally, the rack is strong enough to take a heavy load. We also like the rack as it’s smooth-grained, which makes it protective for your delicate items. The design is good and the rack collapses for compact storage. Even though it’s not the lightest rack out there, it’s sure lightweight enough for easier carry around the house. The build of the rack allows you to also use it outdoors, giving your clothes a nice fresh smell. Hand-built in our USA, the rack impresses with its beautiful craftsmanship to. It comes pre-assembled and looks so nice. The rack has a good foot print and presents a solid build. It doesn’t tip over and may be used for generations. If you’re ready to spend the extra buck for a drying rack that isn’t just durable, solid, versatile and dependable, but also nice looking, take a leap of faith with this one. 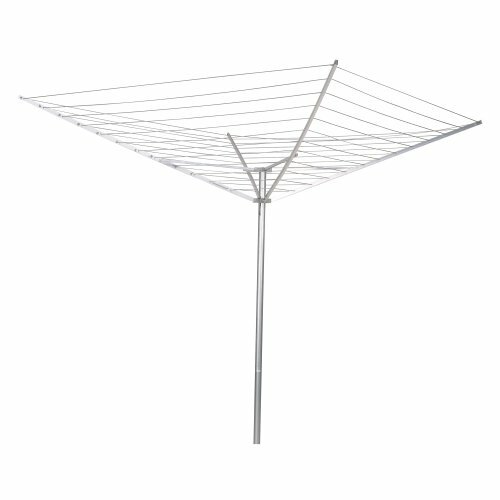 When you’re not going shopping on a tight budget and, by contrary, you’re willing to pay a bit more for a good drying rack for your clothes, give it a go with the Brabantia Lift-O-Matic Rotary Dryer Clothes Line – 196 feet. Offering you 196ft. of drying space, the rack presents a long list of good things to keep in mind. The lines are easy to tension so they always stay stretched. The umbrella system of the rack gives you three different line positions to hold tension and the whole rack impresses with its very easy adjustable height system too. The versatility of the rack is great and you may use it also for airing some bedding and cushions, in the lowest position. Even though it doesn’t come with a Peg Bag and Pegs, the rack does come with a metal soil spear that eases up the installation. It comes with closable concrete spike and a protective cover too. Despite its impressive size, the rack is stable and takes a windy day too. As a matter of fact, the rack handles all sorts of weather and its arm turn smoothly even when it’s fully loaded with wet clothes. The rack is easy to adjust for the right height and its build is impressive. It’s a weather resistant rack that is made with rugged coated steel arms. 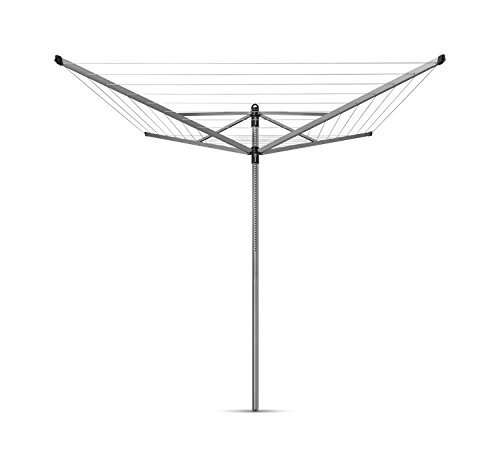 Addressing anyone that has several loads of laundry daily, the rack features a rotary airer that is functional and helpful for the larger laundry: duvets and linens. 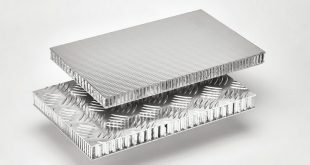 The design of the rack explain its durability and the rounded feed holes ensure easy opening and closing of the rack, expanding its life span. Additionally, you may replace each line individually so you don’t rethread the entire rotary airer. The line binder attached to the rotary dryer minimize risk for tangling of the lines once you fold up the dryer for storage. Just because it’s big, doesn’t mean the rack isn’t easy to store. The rack does collapse down and may be easily stored away when not in use. As long as you see the rack as a great investment to make for your home, the rack isn’t going to be a disappointment, for sure.